Hiya, folks! I am spending the morning packing up some orders to ship, and I thought I'd share a little glimpse behind the scenes - you can get a peek at what customers see when they open their package from TorchFire Studio! I recently decided that my old packaging was too boring, so I ordered a new style of business cards and product labels to add a little pizzazz. 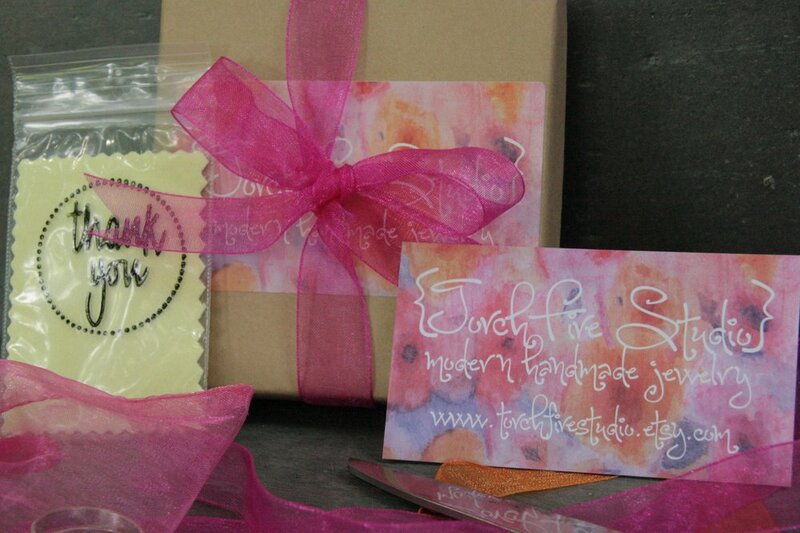 The colorful watercolor background of the cards and labels plays off the hot pink ribbon and drawstring bags. 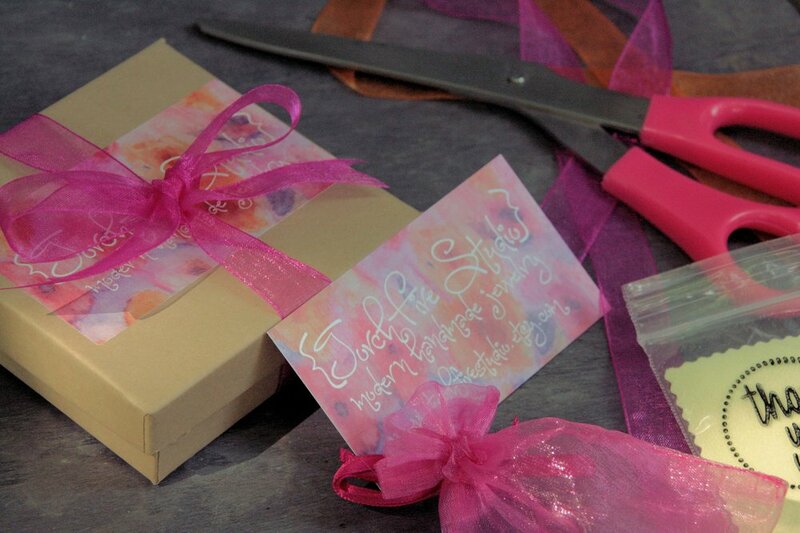 I hope that when one of my customers opens his or her package, it will feel like they are opening a present! Celebrating 200 with a Jewelry Giveaway!